More than halfway through the 2017-2018 season nothing has changed for the always winning Lady Bulldogs. They have already qualified for the state tournament and are currently sitting at a comfortable 14-3 record. Despite all the success the girls had a tough task in order to reclaim their third consecutive South Shore League title. Lofty expectations were set for the girls’ basketball team this preseason. Coach Mitchell expected another league title and a top four seed in the state tournament which would get them two home games. Shockingly, the Dogs only have three losses, but it still makes it extremely hard to be given a top four seed in the tourney. 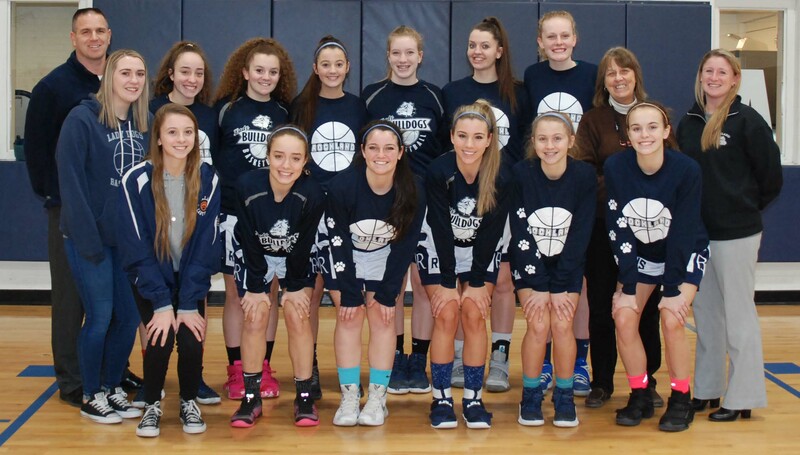 The Dogs were the frontrunner for the league title, but losses to Norwell and East Bridgewater made the task of becoming champions again a difficult one. In order to three-peat the girls had to beat Norwell on Feb. 9 at home. In an exciting game that went down to the very end, the win was secured, 45-40, giving the girls a share of the SSL title once again. Overall the girls just have to play a complete 32 minutes every game. After that they can focus their attention on a deep playoff run.